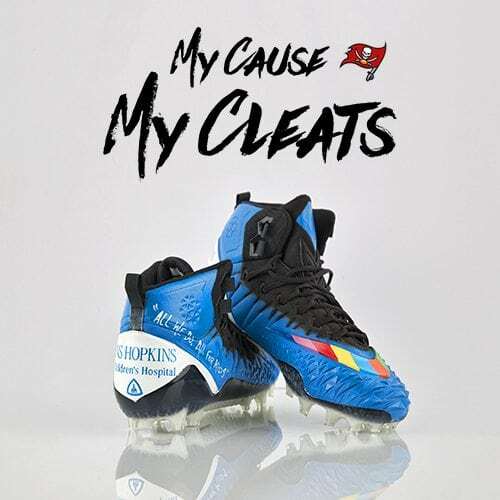 Hundreds of NFL players have chosen charitable causes to support the NFL’s “My Cause, My Cleats” campaign, which allows players to wear custom cleats that represent causes that are important to them during Week 13 of the 2017 season. 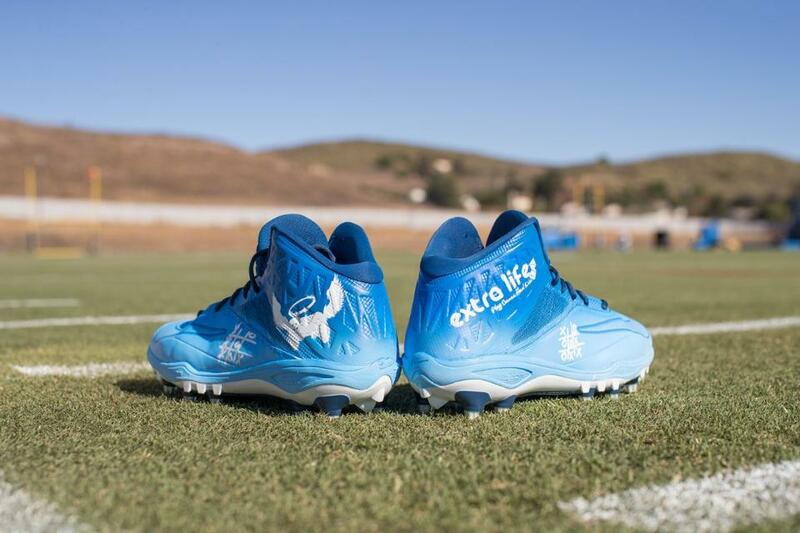 This year, 20 players wore cleats to support local Children’s Miracle Network Hospitals. These players have all spent time visiting their local hospitals and have developed incredible relationships with patients and their families. Several of them even have inspirational stories about their own children being treated by a CMN Hospital. 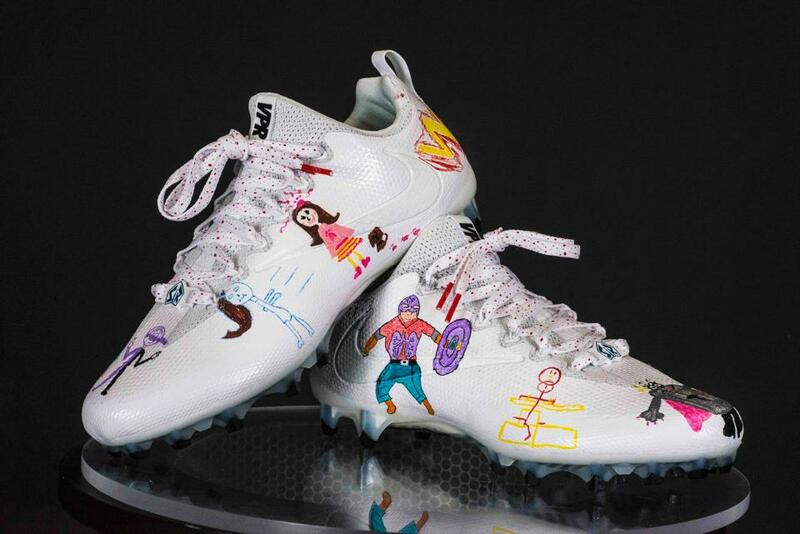 Derek Carr had his cleats designed to represent Valley Children’s Hospital and his son, Dallas, who was born with intestinal malrotation, a potentially life-threatening congenital anomaly that can cut off blood supply to the intestinal tract. Dallas underwent two more surgeries and spent 23 days in Valley Children’s Level IV Neonatal Intensive Care Unit. Carr and his wife, Heather, have been proud supporters of Valley Children’s Hospital ever since. See more of Carr’s inspirational story in the video below. 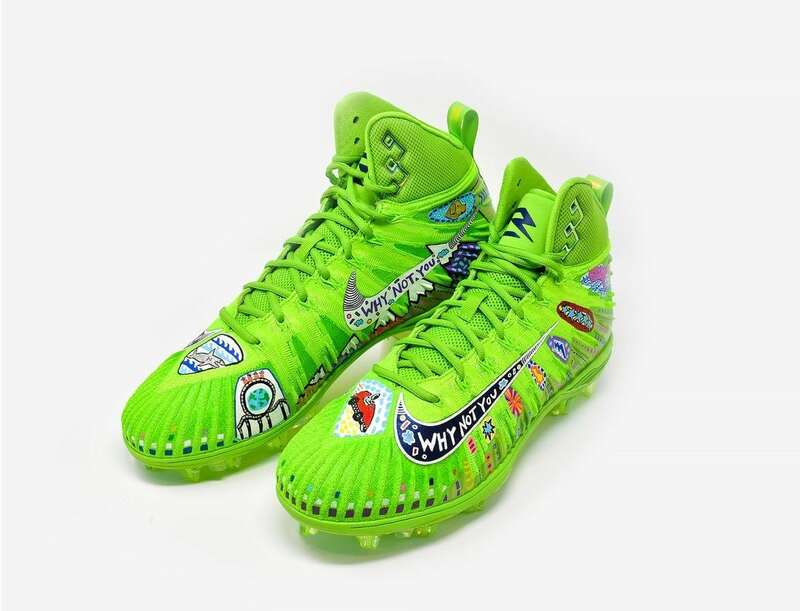 Wilson’s cleats are raising awareness for his foundation, Why Not You Foundation, which is dedicated to creating real and lasting change in the world by motivating, empowering and preparing today’s youth to be tomorrow’s leaders. In 2016, the foundation presented a check for $1 million to Seattle Children’s Hospital. “As big-time as the NFL is… it pales in comparison to some of the battles that some of these kids are going through. And it pales in comparison to what these doctors and nurses are doing to help save lives and improve the quality of life for children not only in the city of Atlanta but really throughout the Southeast and the entire country. For me, it made me realize that there’s a lot more important things in life.” #MattyIce❄️ will be honoring the Children’s Healthcare of Atlanta for #MyCauseMyCleats. 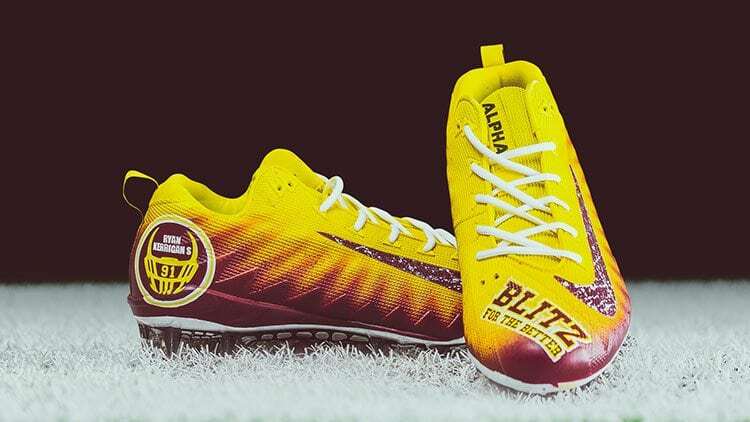 For My Cause My Cleats, linebacker Ryan Kerrigan supported the charity he started back in 2013, Ryan Kerrigan’s Blitz for the Better Foundation. Kerrigan’s aim is to help children with special needs or who are fighting serious chronic illnesses. In the past, Blitz for the Better opened Kerrigan’s Korners, areas in children’s hospitals that provide patients and their family members access to electronics during hospital stays. They serve as a source of entertainment, a portal for communication and a diversion during treatment and recovery. 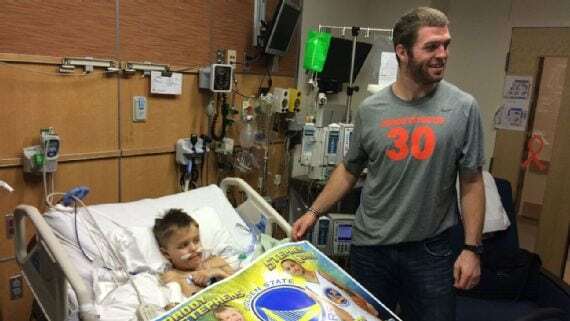 Kerrigan’s foundation has so far created eight of these locations, including several two local CMN Hospitals, Children’s National Health System in Washington, D.C. and Children’s Hospital of Richmond at VCU in Richmond, Va.
Colts Tight End Jack Doyle’s cleats represented Riley Hospital for Children and a patient named Brody Stephens, who fought leukemia twice. After his 16-month treatment at Riley in his second battle, Brody beat the cancer but sadly passed away from viral complications on April 29, 2017 at the age of eight. Doyle met Brody and his family while on vacation in 2014. After tossing a football with Brody and his brothers, they formed a special bond and Doyle visited Brody regularly in the hospital. After Brody’s passing, his family asked Doyle, along with Indiana Pacers Forward Glenn Robinson III, to serve as a pallbearer at his funeral. 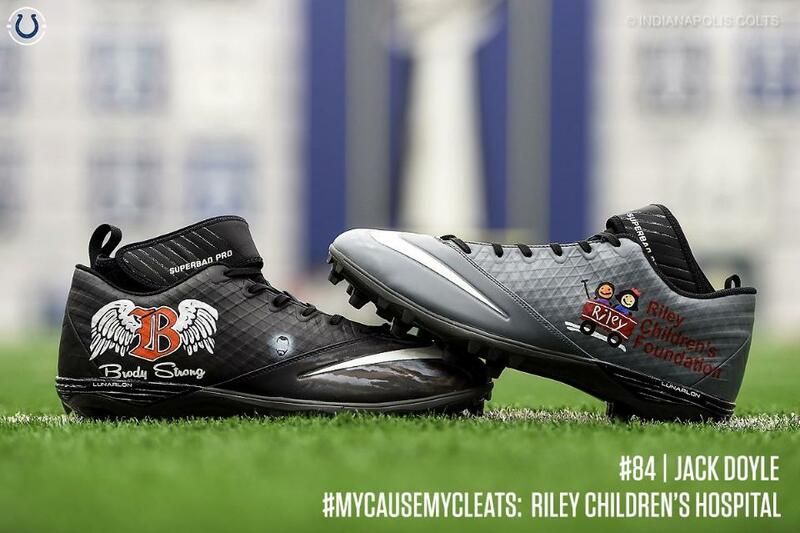 Doyle’s teammate, Marlon Mack, also chose to support Riley Hospital for Children on his cleats this year. The Indianapolis Colts have been proud supporters of Riley Hospital for Children for more than 20 years and invite two pediatric patients to participate in the coin toss at every home game. Bengals QB Andy Dalton’s cleats are designed to support the Andy & Jordan Dalton Foundation, which Dalton developed with his wife t0 provide daily support, opportunities, resources and life-changing experiences to seriously ill and physically challenged children and their families in Cincinnati and Forth Worth. The Foundation has supported many patients at several local CMN Hospitals. One program in the foundation called Andy and Jordan’s Hub, provides patients and their families access to entertainment and educational resources, including iPads, computers, mobile television and theater systems and gaming consoles to help pass the time during hospital stays. They’ve set up Hubs at three local CMN Hospitals, including one Hub in the Family Resource Center at Cincinnati Children’s Hospital Medical Center, two Hubs at Cook Children’s Medical Center in Fort Worth, Texas, and one at Texas Children’s Hospital in Houston, Texas. Siemian’s teammate Demarcus Walker also supported Children’s Hospital Colorado with his cleats. Walker chose to specifically support the speech therapy program at Children’s because he overcame a stuttering programed as a child. 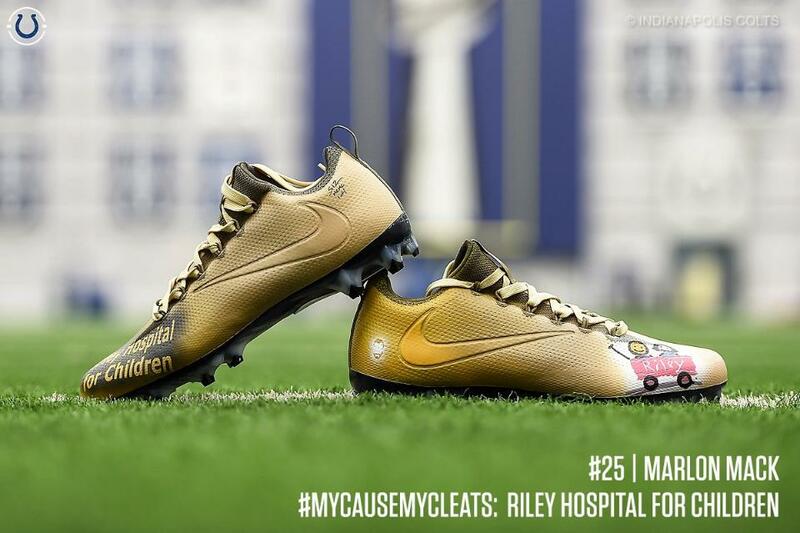 Long Snapper Casey Kreiter chose Children’s Miracle Network Hospitals as his cause for My Cause My Cleats. Kreiter and his wife gave birth to a son this year and both have spent their time visiting patients at Children’s Hospital Colorado. 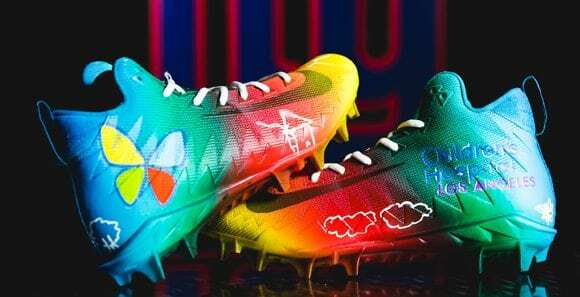 Texans quarterback Tom Savage honored his 13-year-old cousin, Sydney, and the Children’s Hospital of Philadelphia Leukemia Foundation on his cleats last weekend. Savage wore bright orange cleats because Sydney is battling leukemia for the second time. Her sister, Hannah, a Drexel basketball player, was her donor for a bone marrow transplant. “It’s got little surfboards on it, that’s kind of her logo, and it says, ‘No one fights alone,'” Savage said. “She’s just my biggest idol in this world. She really puts everything in perspective. She’s a really tough girl and I couldn’t even imagine going through what she’s going through at that age. Vereen hosts the annual Vereen Playmakers Football Camp as a fundraiser for CHLA and included the hospital’s logo and signature butterfly on his cleats. 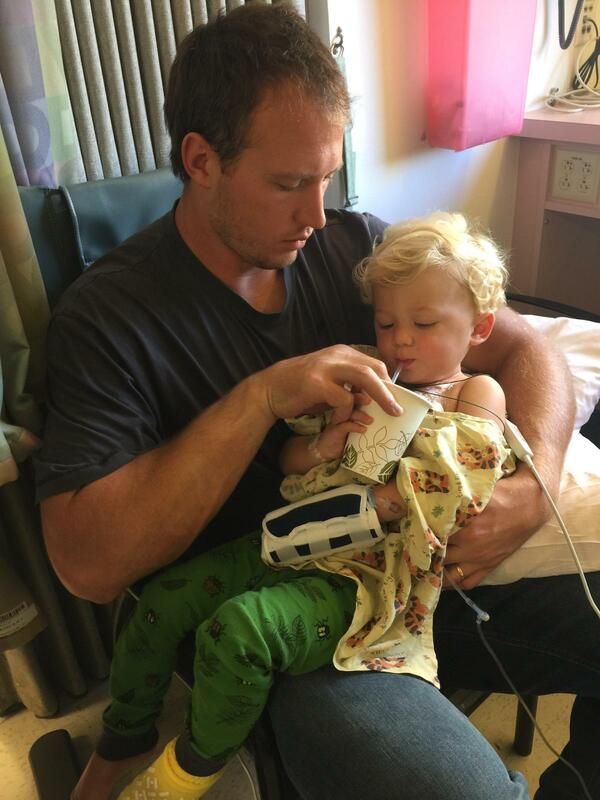 In October 2015, Patriots Offensive Tackle Nate Solder’s son Hudson was diagnosed with bilateral Wilms tumors, a form of kidney cancer found most often in young children and has received of of their care at their local CMN Hospital, Boston Children’s Hospital. After a year off of chemo, a scan showed that Hudson’s tumors had started growing again and he restarted the weekly chemo treatments this past October. Solder chose to honor his son on his cleats and had them painted gold for Childhood Cancer Awareness. Kicker Robbie Gould may play in San Francisco, but he has dedicated his cleats to Lurie Children’s Hospital in Chicago, Ill., which he developed a strong connection to during his 10-year career with the Chicago Bears. In July, Gould hosted the sixth annual Robbie Gould Celebrity Golf Invitational, which raised over $830,000 for Lurie Children’s. 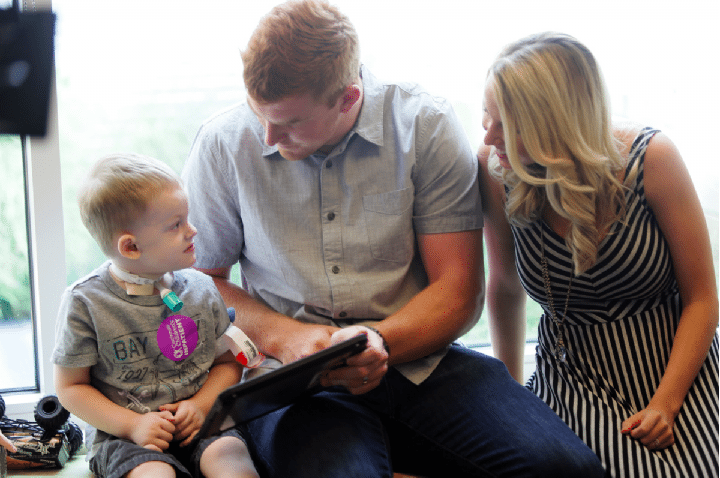 Since living in Phoenix, Carson Palmer has been a proud supporter of Phoenix Children’s Hospital and has made many trips to visit patients in the hospital. Triple Your Donation Today to PCH! #GivingTuesday is not over yet! Donate to impact many lives at Phoenix Children's Hospital! Visit pchstar.com to make a contribution. 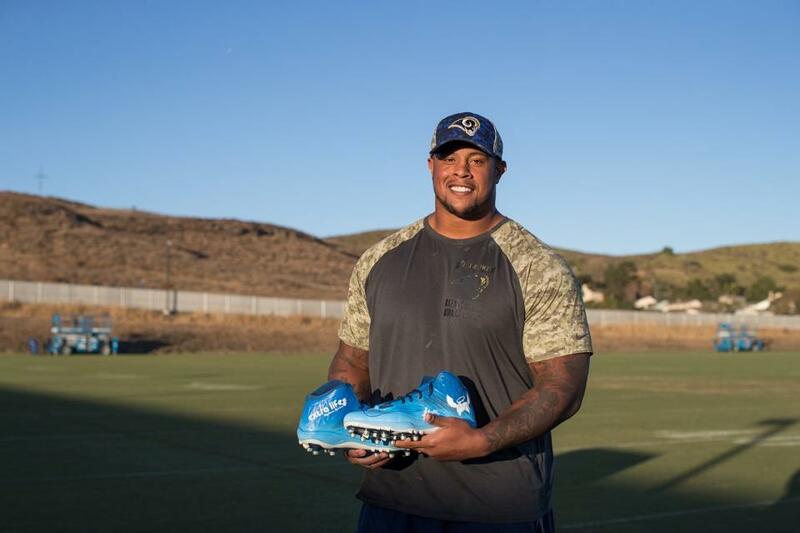 Guard Rodger Saffold chose to support Extra Life, a fundraising program that unites thousands of gamers around the world to play games in support of their local Children’s Miracle Network Hospital. Since its inception in 2008, Extra Life has raised more than $30 million for sick and injured kids. J.R. Sweezy chose to support Johns Hopkins All Children’s Hospital, the local CMN Hospital in Tampa, Fla. as a cause that’s close to his heart. 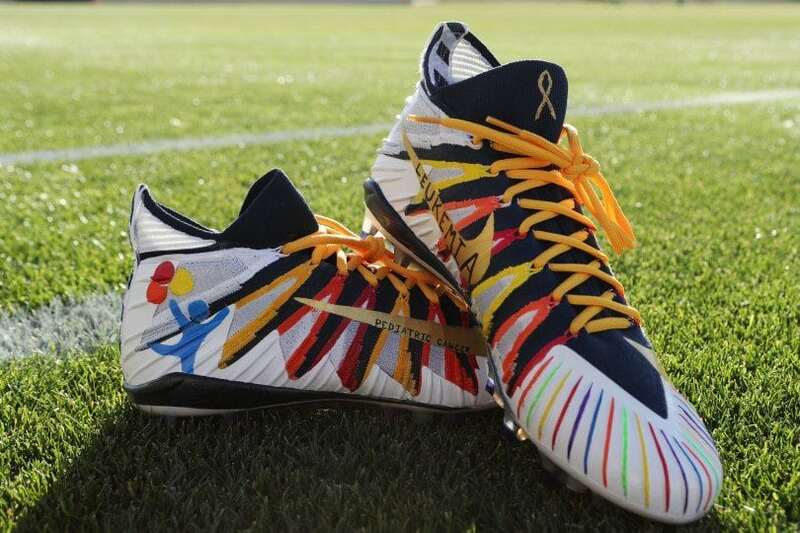 Browns QB DeShone Kizer’s cleats supported The Andrew Weishar Foundation, which provides financial assistance to families with adolescents or young adults stricken with cancer. Kizer paid a special visit to his local CMN Hospital, UH Rainbow Babies & Children’s Hospital, in Cleveland, Ohio to show off his newly designed cleats. Since being drafted by the Browns in 2017, Kizer has been able to dedicate some of his time for visits with patients at the hospital.